The YFC Travel programme has been in operation for over 70 years, offering an exciting programme of homestays, exchanges and volunteer trips to destinations around the world. The YFC Travel programmes are highly competitive and oversubscribed due to an increasing demand from YFC members wishing to work and travel. With this in mind, NFYFC has combined forces with The Training Partnership Ltd (TTPL) to be able to bring an additional opportunity to its YFC members. TTPL specialises in agricultural programmes across the globe, providing paid working opportunities for young people with a combined interest in travel, work and all things rural. So if you have ever wanted to experience working within Ireland’s world famous horse industry or the harvest period in Canada, or simply fancied working abroad but don’t know where to start, then The Training Partnership could be an exciting option for you. If you want to know more, check out the details below to get your next adventure started. *Please note, TTPL programmes below are not part of the YFC Travel programme; applications should be sent directly to TTPL. All of our programmes are paid and vary from twelve weeks to one year. Some are live in with food, accommodation and a stipend and some are live in/out with full wages. We have developed many contacts across the globe and have a vast network of programme providers. 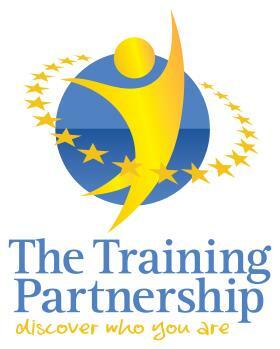 The Training Partnership has been delivering work experience programmes in the UK for 21 years; we’ve welcomed thousands of students and currently partner with over 70 EU colleges, universities and private training institutions. There are programmes to suit all abilities and experience levels so if you don’t find an opportunity to suit then get in touch and we’ll reach out to our partners to see if we can help you. A member of our team will be with you every step of the way, offering a highly personalised service to ensure we satisfy your needs before, during and after your trip abroad. We have personally met with every partner organisation we work with and are confident that they offer the same high levels of service and care that we insist upon so you can trust us to deliver a superior programme that prioritises the wellbeing of every individual. Stand out from the crowd, gain valuable skills, interact with new cultures and discover who you are on one of our amazing agri programmes. Discover Australia on a working holiday visa; we offer paid work programmes in agriculture, rural hospitality or as a homestead helper. Dates & duration: All year round, stay up to 1 year (maximum 6 months in one work placement, with second placement found at no additional cost). From Christmas trees to organic grain, equine to oenology, experience a beautiful country and learn new farming techniques with a quality paid exchange programme. Host farms available in Manitoba, Saskatchewan, Alberta and Ontario. The average size farm is 700 acres but can reach 2000 acres on the prairies. 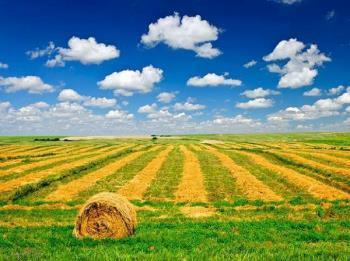 3-month minimum to take in the harvest season – August arrival. 7-month programme for both seeding and harvest – April arrival. 12-month placements available for limited number of beef and dairy farms – all year round. Discover Denmark on a paid training programme and acquire skills that will enhance your CV and give you an edge in the labour market. Training placements are on farms that are approved to have trainees by the regional young farmer’s club and are usually on pig or dairy farms. Mixed dairy/crops and, occasionally, horticulture and fruit farms are also available. Dates & duration: Arrival and orientation meetings are held in Copenhagen every month (March/April arrival preferred). The recommended placement duration is 8-12 months. Training placements are for students and graduates in agri and horticulture, agri-mix and oenology/viticulture. Farms are located all over Germany but predominantly in the west. All trainees are invited to a one week seminar (if in country) with all costs covered by Federal Ministry of Nutrition and Agriculture. Dates and duration: 3-12 month placements – all year round. < You will be working and living on the land amongst Icelanders on smaller farms that often operate as both a traditional farm and agri-tourism venture. Farms can be: dairy, mixed, livestock, horse or gardening farms. After your arrival in Reykjavik you’ll be given overnight accommodation and breakfast in a hostel then an orientation session before being given the onward travel details to your farm. Dates & Duration: Placements can vary from 3-12 months with an arrival of April preferred. Ireland’s horse industry is famous throughout the world and placements range from stud farms with many employees through to small family yards, riding schools, and families who breed, train their own young stock, and compete locally. This makes it a perfect destination for anyone looking for equine experience. In addition, opportunities throughout Southern Ireland are also available in agriculture, horticulture, agro-tourism, food production, dairy, mixed, small animals and landscaping. These are long term, paid agricultural internships for students that offer a supported, cultural and educational experience in return for full board accommodation and stipend. This is a minimum 12-month programme developed to promote mutual understanding, friendship and cultural exchange among farmers of Japan and participants. Training farms are all over the country and can include rice, row crop, organic, livestock, vegetable, fruit production and ornamental horticulture. 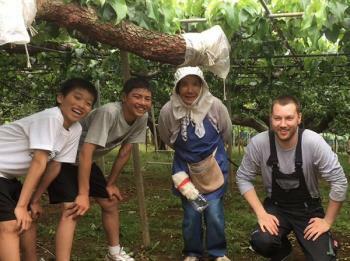 After arrival in Tokyo you receive a one-week seminar (included in costs) before being transferred to your host farm. In the summer you receive 10 days’ holiday. At the end of your stay you return to Tokyo for have a final meeting. Basic knowledge of the Japanese language and at least 6 months’ practical experience is essential. Dates & duration: One year – April arrival. Training placements are within all types of farming environments and can be undertaken from 13-52 weeks as a paid internship. Sectors include: dairy, arable, livestock, horticulture, mixed farm, field vegetable production and cheese making. An introductory meeting is held every month to meet your hosting organisation and other participants on placements. A further two mid-point meetings that last for 4 days are held which you are encouraged to attend. There are some brilliant paid agricultural and horticultural programmes across America suitable for students and workers via the J1 Visa Intern and Trainee schemes. You will be placed with a recognised training site or grower in sectors such as crop production, livestock, dairy, horticulture, equine, oenology, agribusiness and mixed farm. Additionally, training programmes are available in greenskeeping and turf management, construction, milling and wood working. 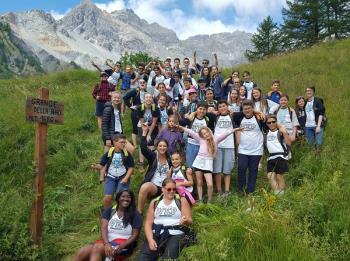 We have a unique and exciting opportunity to become a children’s camp counselor in mountain and seaside camps in Italy. The role of a camp counselor is to arrange fun language activities for children/teenagers and teach simple things in English through playing and talking together. This suits young people with a love of the outdoors and an interest in teaching children. Dates and duration: 14th June - 5th August (seven weeks including four weeks working at mountain camp, one week seaside break (including two-day tour of Tuscany) followed by a final two weeks working at seaside camp.